Duane Beazer, 86, born to Mark and Minnie Beazer in Syracuse, Utah, passed away peacefully on July 15, 2017. 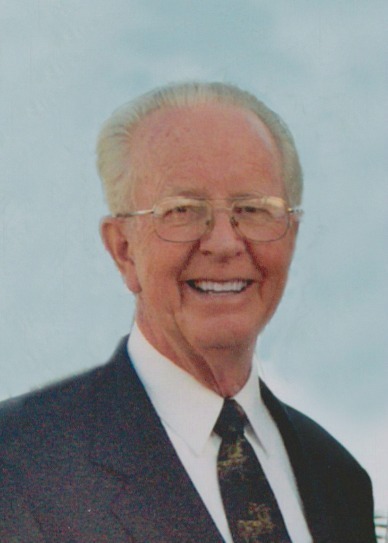 In 1953, he married his sweetheart Donalee (Andersen) in the Mesa Arizona Temple. Devoted to God and committed to his faith, Duane consecrated his life to the work of Christ, touching countless hearts and lives, with a love for all. 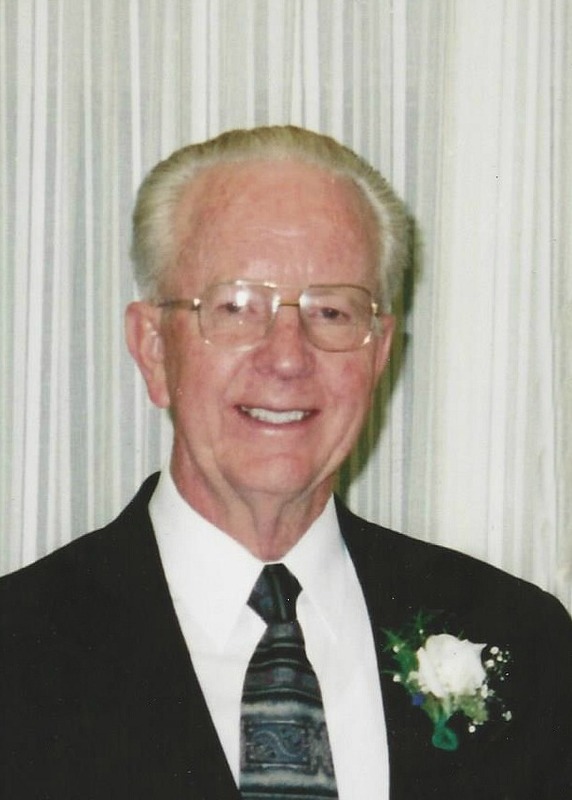 He faithfully served in many callings in the Church of Jesus Christ of Latter-day Saints, including President of the Mesa North Stake. Duane and Donalee served five missions together. He was President of the Oklahoma City Mission, Director of the Mesa Temple Visitor Center, and District President for the country of Croatia. 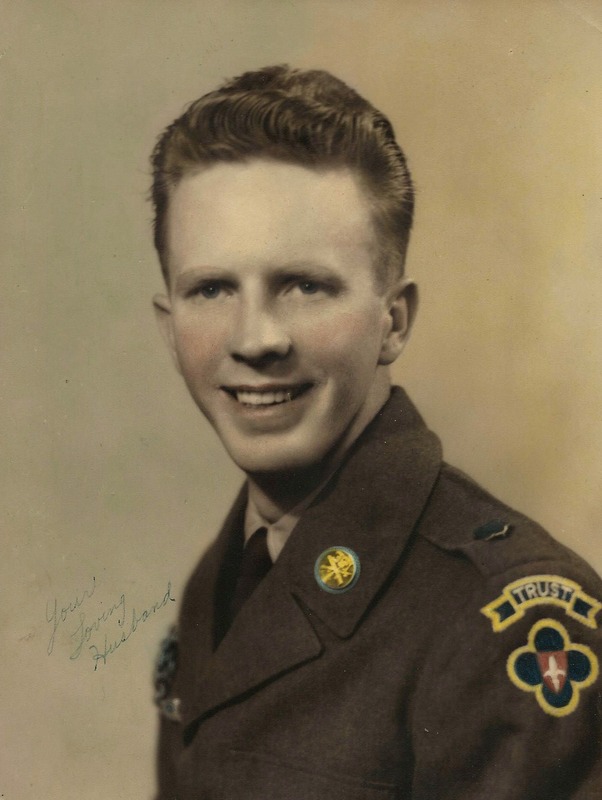 Duane was an Army veteran who deeply loved his country. His distinguished career as an electrical engineer included, at age 33, managing NASA camera systems on the missions that took the first close-up pictures of the lunar surface, which were critical in preparation for manned landings on the moon. Duane, affectionately referred to as a “rocket scientist”, had the names of his and Donalee’s parents, children, and siblings etched into the metal of the lunar landers, to remain on the surface of the moon. Duane is survived by his loving wife of 64 years, Donalee, and their 10 children: Becky (Steve) Luster, Larry (Janice) Beazer, LeeAnn (Mark) Freeman, Ferrell (Kim) Beazer, Roslyn (Doug, deceased) Kinneard, Carolyn (Dennis) Alldredge, Sandra Beazer, Keith (Heidi) Beazer, Norman (Jane) Beazer, Russell (Betty) Beazer; plus 46 grandchildren and 37 great grandchildren; 3 Navajo placement students: Bertha Blackhorse, James Begay, and Harriett Sandoval; and also his 4 siblings: Jay Beazer, Val Beazer, Boyd Beazer, and Linda Snow. His tender love and adoration for his dear Donalee and his family are eternal. Friends and family will miss his love, kindness, wit, enthusiasm for life, and his unwavering example of integrity, faith, and dedication. All services will be at the Mesa North Stake Center, 933 E Brown Road in Mesa: Friday, July 28 visitation from 6–8 pm. Saturday, July 29 visitation from 8:45–9:40 am, and funeral at 10 am. Interment follows at the Mesa City Cemetery. As I’m sure you know, mom is not able to travel, she so wished to be there to represent our family. Heat, travel time & health is not going to allow us to be there. Please know that our prayers are for all of you at this time of loss. However can you imagine the reunion that was in heaven. My condolences to the family, especially Donnalee. My husband David loved and admired Pres. Beazer and we both cherished the time we served with both of you. May all the family remember the sweet and wonderful times you have had with him. Brother Beazer will always be special to me. I loved it when I was Donnalee’s Visiting Teacher and I would get to visit with both of them. I will miss his sweet smile!! We will see you on the 29th for the viewing and funeral. Love and condolences to all. What a great man!! I remember his quiet strength, his kindness, and his devotion to his Heavenly Father, his wife and his family. Thinking of you all at this sad time. Dad would have loved to come and honor his older brother, but traveling is very difficult for him. Know that we love you all and will pray for our sweet Aunt Donna!! Our hearts are with all of you. What an amazing tribute to a special man. It’s obvious how much he loved his family and how much he was loved in return. Love to your family! Our love to you and your family! You belong to one of the great families of all time. 😊 The Beazer family in Utah loves you! I am so sorry for your loss! Sis. Beazer, I will miss your husband as my friend & Home Teacher. The last time I saw him was at Church. I have missed Bro. Beazer coming over to Home teach. I will keep your family in my prayers. I will miss him so much!!!! **Tiffany Hathcock** I love you both!! What a great man and role model that Grandpa was. I am grateful to have so many good memories of him that I will cherish forever. I wish I could be there in person for the funeral, but won’t be able to travel. However, my thoughts and prayers will continue to be with wonderful Grandma and the entire family. The Sleeman family sends it’s condolences to your family also. We remember pheasant hunting in Syracuse, hiking to Red Castle and other fun and important family and individual memories. Our thoughts and prayers are with you all. Our thoughts and prayers are with your family at this time. Carolyn…..hugs to you. 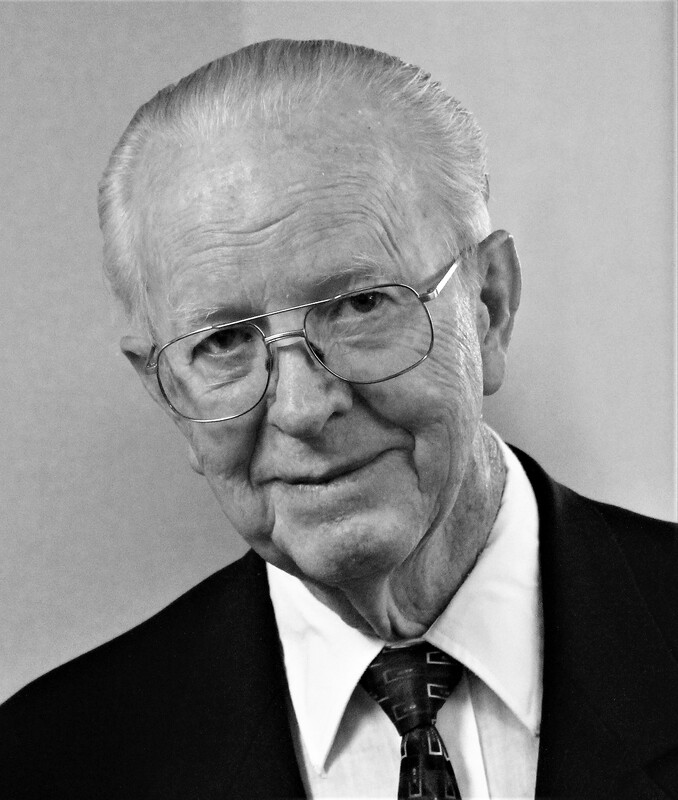 Duane was an amazing mission president, always had time to listen to us as missionaries and always there with great ways to improve our sharing of the gospel. I thoroughly enjoyed serving with him as one of his missionaries. My heart goes out to Sister Donalee Beazer. I am so grateful for the love and compassion shown to me by President Beazer and you while I served in Oklahoma. What a stalwart, and good man, President Beazer was. Your family is in my prayers. President Beazer had more impact for good on my life than any man in it beside my father and father-in-law. I am a better person today for the time I was blessed to spend with him. I hope that Sister Beazer and the rest of the family feel the peace of the Savior and the hope of a wonderful reunion one day with this amazing man. I have a flood of joyous and wonderful memories of Uncle Duane and Aunt Donna and my Beazer cousins from my earliest childhood. Aunt Donna was the youngest daughter in the family and my father Verlan the eldest son so their were many nieces and nephews who sang a special celebration song on the Day “Donnalee” our Auntie and handsome Uncle Duane were married. Our family, the Beazer family and others including grandmother’s traveled in Uncle Irving’s big green bus across the United States to see Church and National historic sites. Surely there was not a happier and more astonishing (to all who observed the merry band) group of travelers before or since. My condolences to you Sister Beazer, Duane talked about you a lot and truly loved you. Duane and I were in the same company at Fort Ord during the Korean war. I remember him as a good friend and a devoted member of the Church. There is a brother to another fellow soldier, Julian Bowers, in our ward here in Richfield Idaho.